Project Details: The Faith & Hope Cafeteria is located in the suburban area of Lima. For the past 16 years it serves food for the people in the community. In the effort of growing the Dev Corps division of our Chapter, MEDLIFE McGill was proud to sponsor this project by constructing a new cafeteria which will provide an appropriate working environment, and thus healthier meals. The playground in Laderas Nueva Esperanza. What: To build a fence around a playground that is positioned right on a cliff. 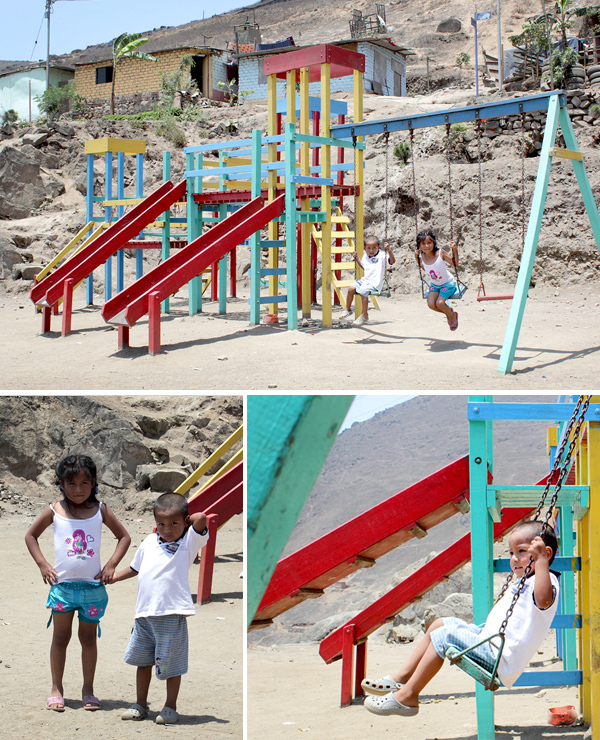 Why: A beautiful playground has been built (donated by a generous Canadian donor) however the parents of the children of Laderas Nueva Esperanza won’t allow kids to play on it because it is positioned on a cliff. The parents asked MEDLIFE’s Director of Peru if he could bring some volunteers to construct a fence around the playground. How: MEDLIFE McGill’s chapter sponsored the project with a $2500 donation from its fundraising efforts in the 2013-14 year. 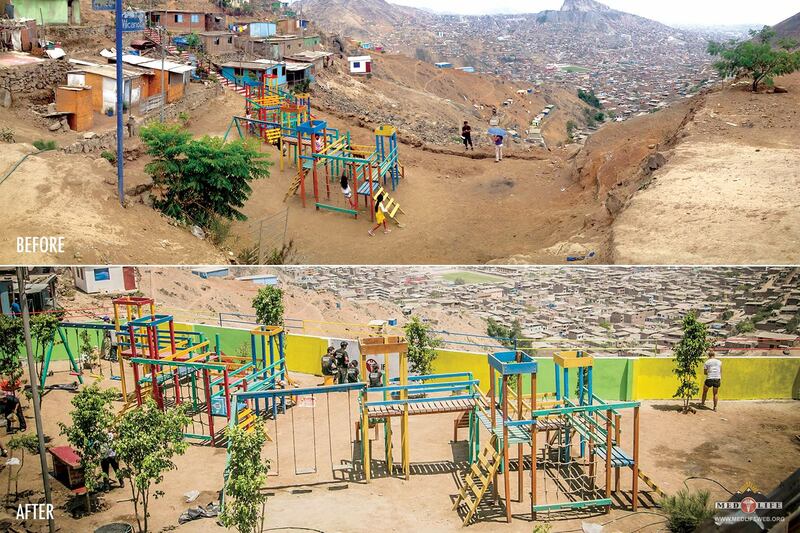 Result: 8 McGill students went down to Lima, Peru during Reading Week 2014 and built a structural wall around the playground. The children of the community are now able to enjoy the facilities to its full extent. Check out the blog post by Keara Campos by clicking here.